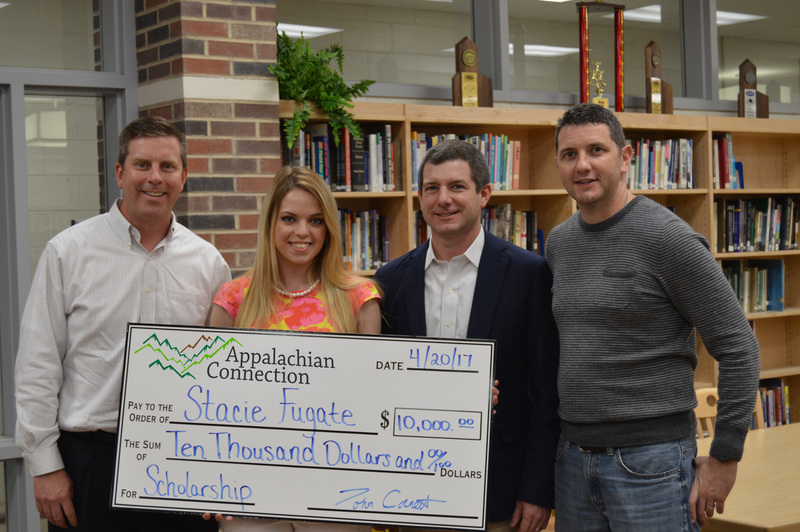 Appalachian Connection is pleased to announce the recipient of its 2017 scholarship. Ms. Stacie Fugate, a recent graduate of Hazard High School was awarded the scholarship on April 20, 2017 at a ceremony at her school. Ms. Fugate will receive a grant in the amount of $10,000 to be used towards her higher education. She plans to continue her studies at the University of Kentucky in the Fall. Besides an impressive academic resume, Ms. Fugate has served in many leadership roles. She has served as a student advisor to the Hazard School Board, served as President of Hazard High School Theater, and created a self-started service project called No Princess Left Behind, which is focused on obtaining dresses, make-up, and other products and services for young women who cannot afford those amenities for prom. Stacie has been a member of the soccer team, academic team, and speech team. She has also served on the Appalachia Renaissance Initiative’s Student Senate, working regionally to add young voices to current economic revitalization initiatives.